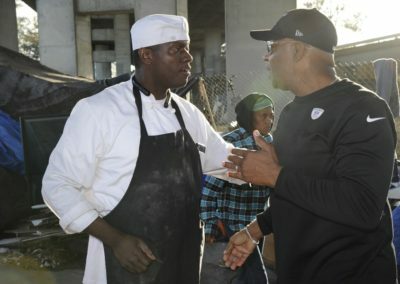 Thomas Patrick Former, aka Chef Pat, lost his popular Starfish Seafood Café in a four-alarm strip mall fire on MacArthur Boulevard and lost everything. 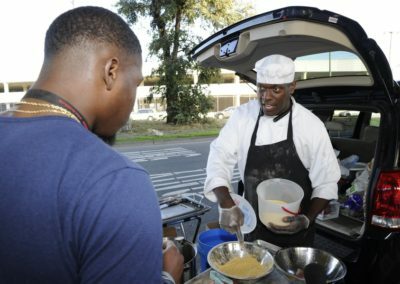 He has started a new career, but most importantly he has found his true happiness. 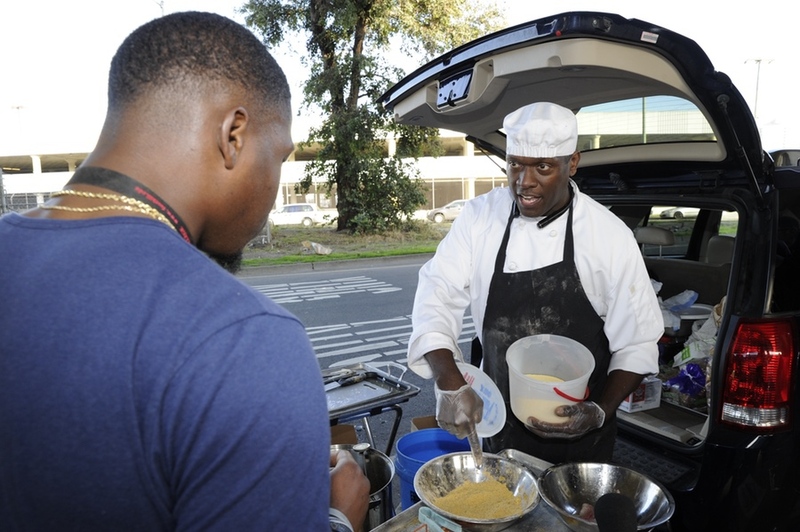 Chef Pat is a religious man who feels that no good deed will go unpunished. 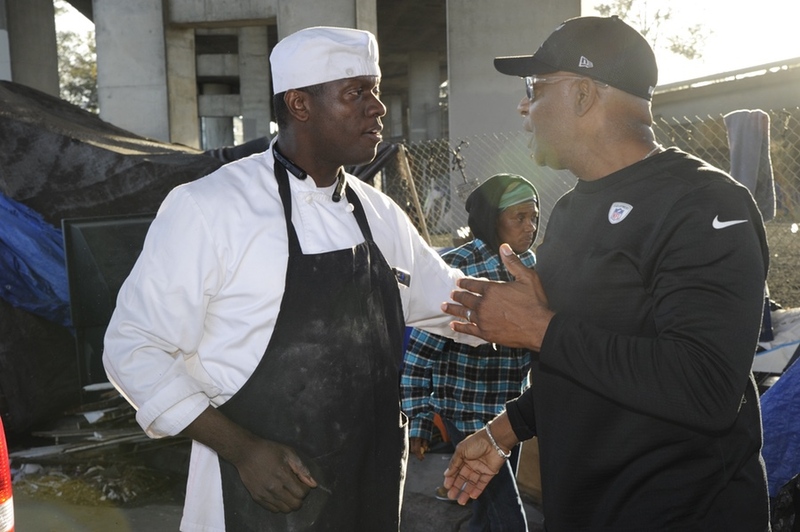 So even though Former, known to his devotees as “Chef Pat,” lost his popular Starfish Seafood Café in a four-alarm strip mall fire on MacArthur Boulevard, that didn’t stop him from making a difference in the lives of others who he could share his gifts. 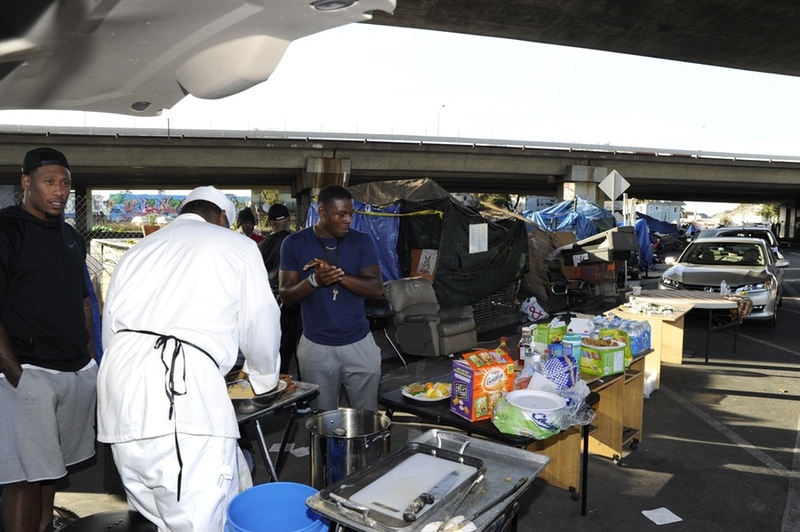 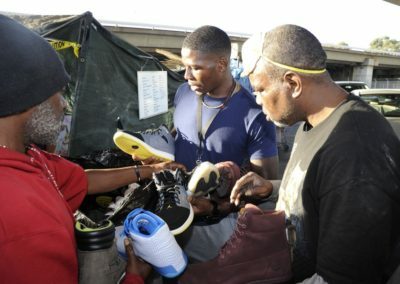 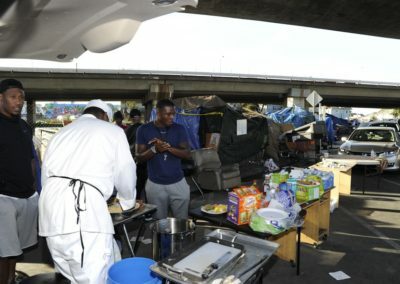 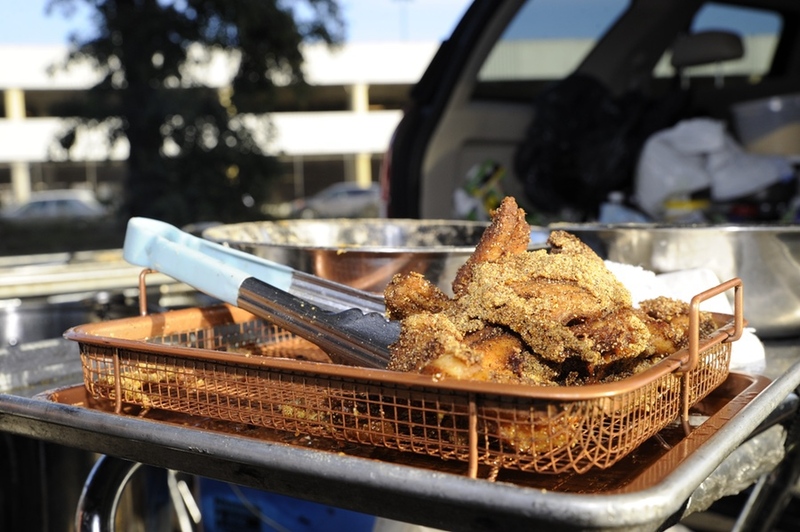 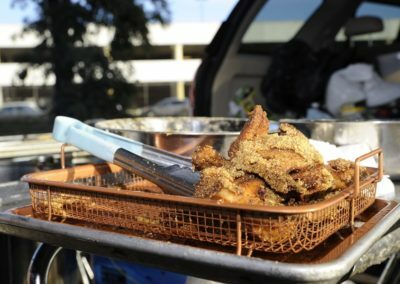 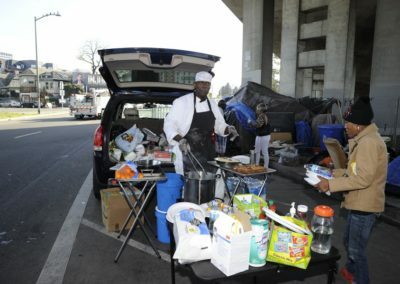 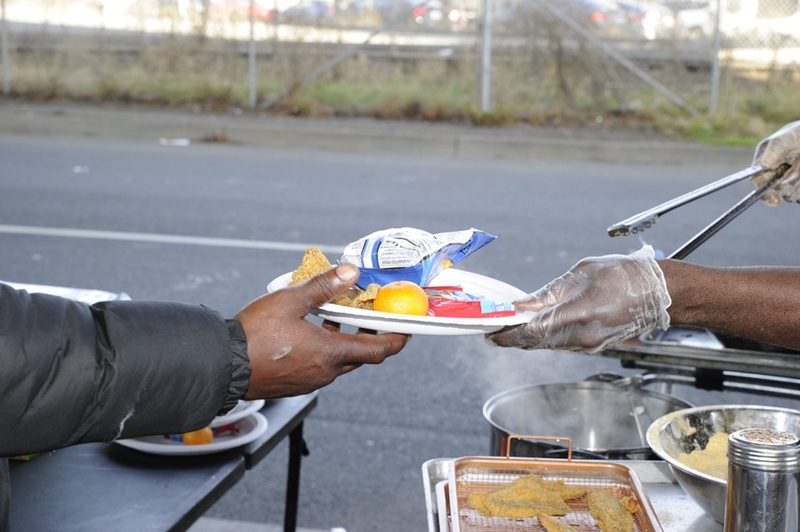 Beginning in August 2017, he loaded up his Jeep with a fryer, 20 pounds of fish five loaves of bread, chips, plates, Crystal Hot Sauce, and sanitary wipes, and started cooking for one of Oakland’s homeless encampments. 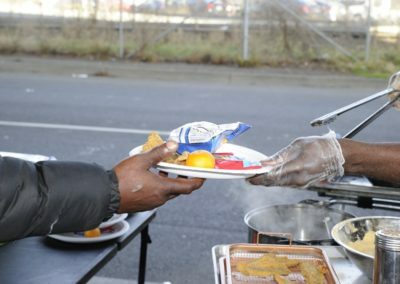 He’s returned almost every week since. 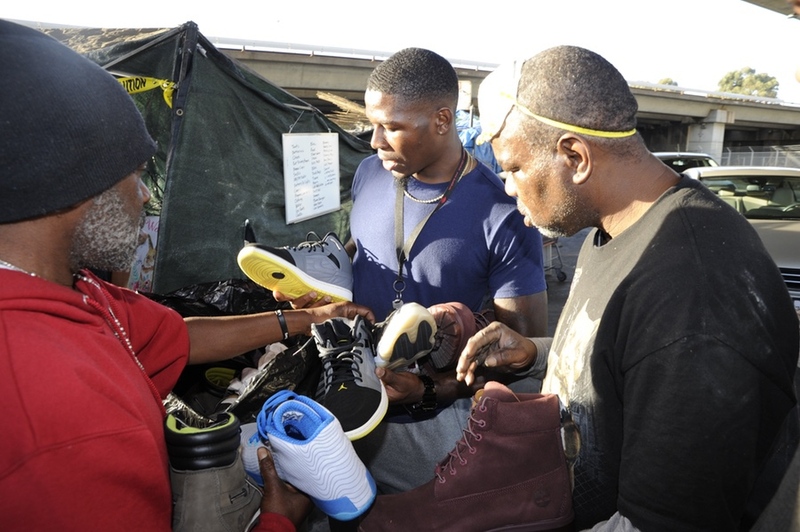 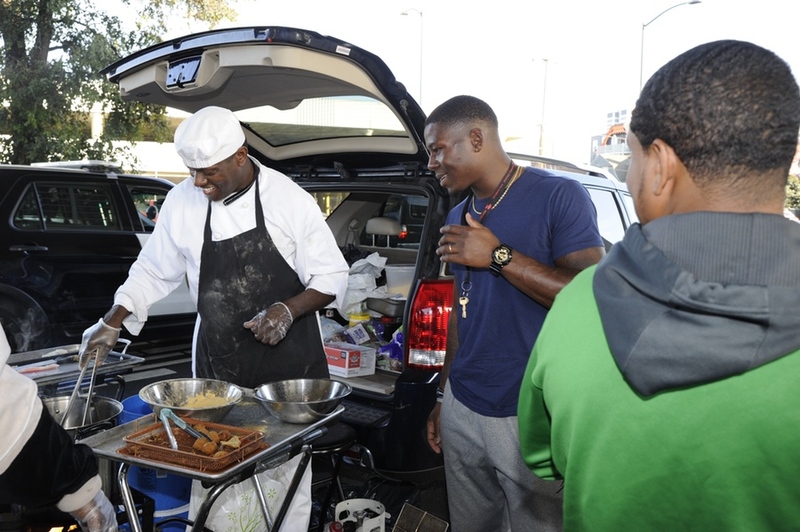 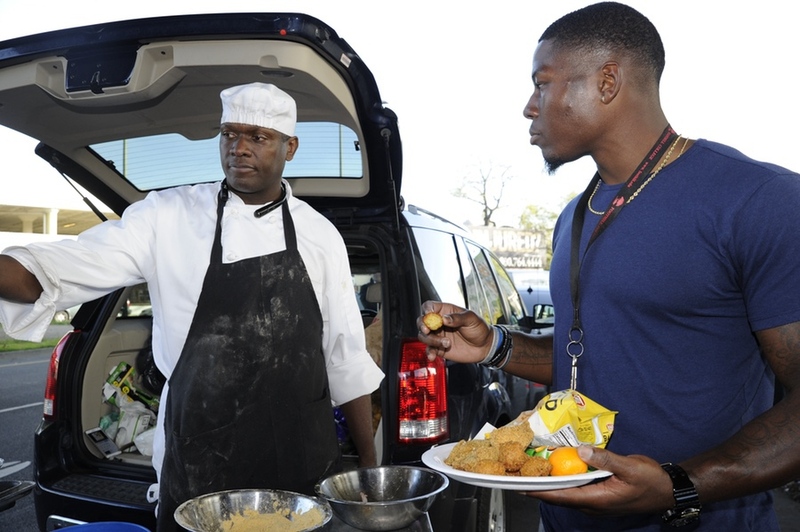 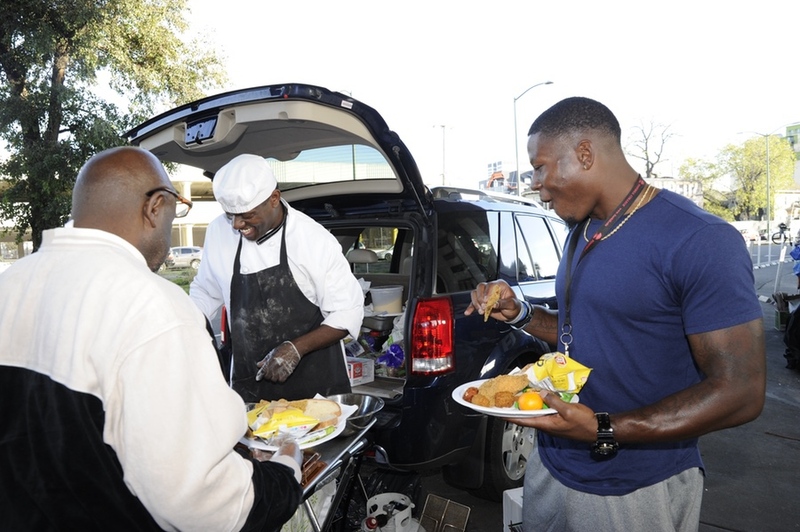 TJ Carrie and Bruce Irvin learned about Chef Pat’s generosity through the Raiders and wanted to help. 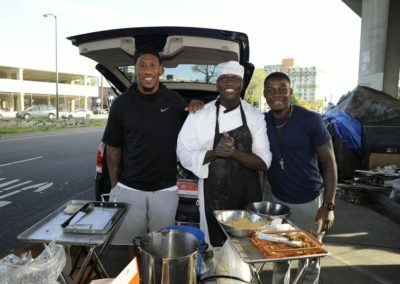 They joined Chef Pat on a Friday after practice to help with the Fish Fry and talk to the people. 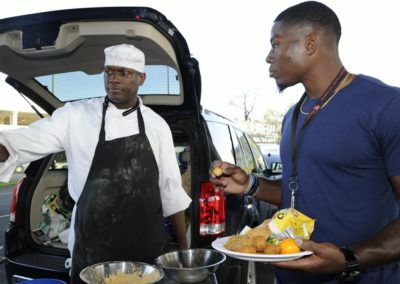 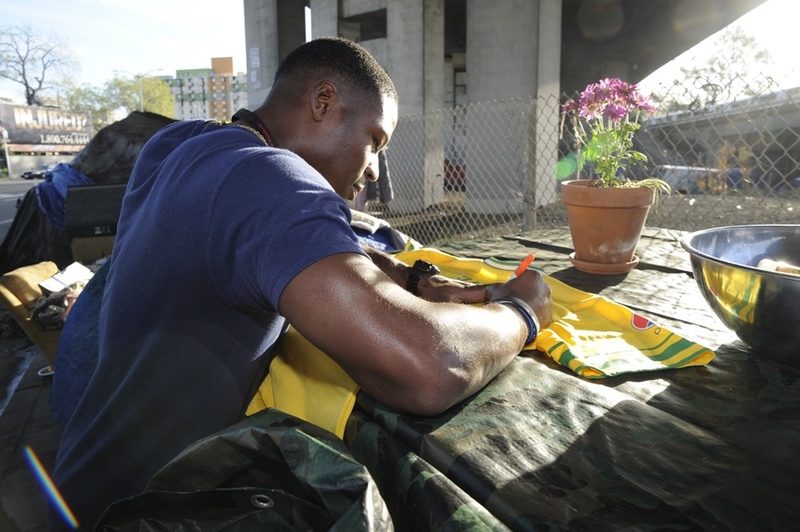 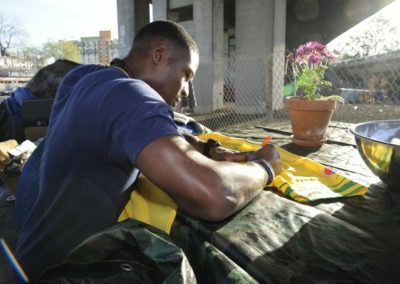 Moved by the experience, both players decided to sponsor the four Fridays in December as a way to thank Chef Pat for his service.